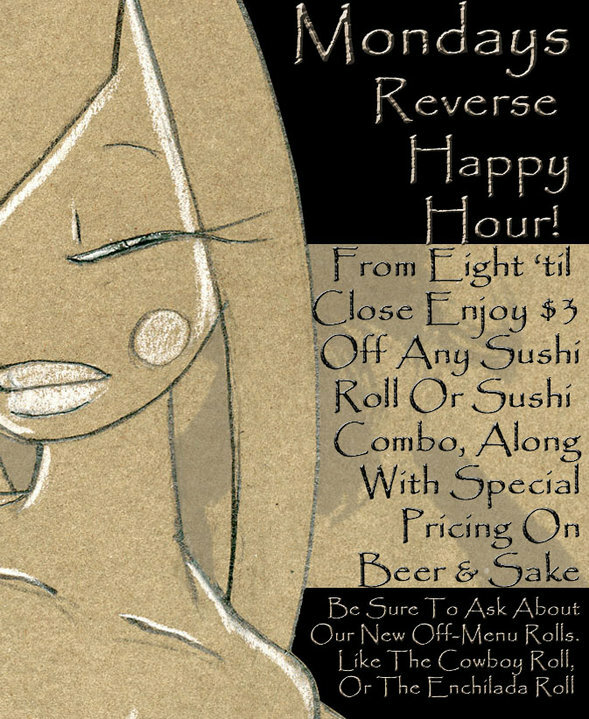 Reverse Happy Hour is always on Mondays at Tokyo Steak House! From 8p. til Close you can enjoy $3 OFF ANY Sushi Roll or Sushi Combo, along with Special Pricing on Beer & Sake! Tokyo is always creating new and tasty off-menu rolls, so be sure to add a few to your order! Maki Mondays specials are available with pick up orders too!